Ишемия, реперфузия, оксидативный стресс, системный воспалительный ответ – все эти события являются причиной или важным звеном в патогенезе многих серьезных осложнений кардиохирургических операций. Повреждающее действие каждого из них многократно показано в эксперименте и в клинике и, казалось бы, предопределяет единственно возможное отношение к ним – резко отрицательное. Тем не менее дозированная ишемия инициирует развитие феномена, получившего название «ишемическое прекондиционирование», когда в результате орган-мишень приобретает повышенную резистентность к последующей повреждающей ишемии. Реперфузия – неизбежный и необходимый этап реабилитации после перенесенной ишемии. Оксидативный стресс? Повреждающий потенциал активных форм кислорода – установленный факт, однако минимальные концентрации активных форм кислорода являются внутриклеточными регуляторами, а значит, абсолютно необходимы для нормальной жизнедеятельности клетки. Кроме того, многочисленные исследования показали заметное усиление оксидативного стресса во время искусственного кровообращения (ИК), при этом, однако, не удалось продемонстрировать снижения количества осложнений и периоперационной летальности при выполнении аортокоронарного шунтирования на работающем сердце в сравнении с операциями, выполняемыми в условиях ИК. Так каков же истинный вклад оксидативного стресса в развитие послеоперационных осложнений? Не доказана клиническая эффективность ни одного из существующих антиоксидантов по критериям снижения летальности или уменьшения сроков госпитализации. К сожалению, у нас также нет однозначных ответов на поставленные вопросы. Не вызывает сомнения лишь тот факт, что чрезвычайная актуальность диктует настоятельную необходимость дальнейшего изучения роли оксидативного стресса в патогенезе ишемических и реперфузионных повреждений в кардиохирургии. 1. Лихванцев В. В. Неспецифический делирий в отделении интенсивной терапии и реанимации // Анестезиол. и реаниматол. – 2015. – Т. 60, № 2. – С. 55–59. 2. Плотников Е. Ю., Силачев Д. Н., Чупыркина А. А. и др. Новое поколение скулачев-ионов, обладающих выраженным нефро- и нейропротекторным действием // Биохимия. – 2010. – Т. 75, № 2. – С. 177–184. 3. Плотников Е. Ю., Силачев Д. Н., Чупыркина А. А. и др. Нейропротекция в кардиохирургии // Анналы клинической и экспериментальной неврологии. – 2012. – Т. 1, № 2. – С. 4–7. 4. Alston R. P. Pump head or not! Does аvoiding cardiopulmonary bypass or сoronary artery bypass surgery resultin less brain damage? // Br. J. Anaesth. – 2005. – Vol. 94. – P. 699–701. 5. Amit X., Garg P. J., Salim S. et al. Kidney function after off-pump or on-pump coronary artery bypass graft surgery a randomized clinical trial // JAMA. – 2014. – Vol. 311, № 21. – P. 2191–2198. 6. Andrews D. T., Sutherland J., Dawson P. et al. L-arginine cardioplegia reduces oxidative stress and preserves diastolic function in patients with low ejection fraction undergoing coronary artery surgery // Anaesth. Intens. Care. – 2012. – Vol. 40, № 1. – P. 99–106. 7. Bartels K., Karhausen J., Clambey E. T. et al. Perioperative Organ Injury // Anesthesiology. – 2013. – Vol. 119, № 6. – P. 1474–1489. 8. Biglioli P. et al. Biological effects of off-pump vs. on-pump coronary artery surgery: focus on inflammation, hemostasis and oxidative stress // Europ. J. Cardio-thoracic Surgery. – 2003. – Vol. 24. – P. 260–269. 9. Cai H., Harrison D. G. Endothelial dysfunction in cardiovascular diseases. The role of oxidant stress // Circ. Res. – 2000. – Vol. 87. – P. 840–844. 10. Cavalca V., Tremoli E., Porro B. et al. Oxidative stress and nitric oxide pathway in adult patients who are candidates for cardiac surgery: patterns and differences // Interact. Cardio-Vasc. Thorac. Surgery. – 2013. – Vol. 17, № 6. – P. 923–930. 11. Chello M., Mastroroberto P., Quirino A. et al. Inhibition of neutrophil apoptosis after coronary bypass operation with cardiopulmonary bypass // Ann. Thorac. Surg. – 2002. – Vol.73. – P. 123–130. 12. Callister M. E., Burke-Gaffney A., Quinlan G. J. et al. Extracellular thioredoxin levels are increased in patients with acute lung injury // Thorax. – 2006. – Vol. 61, № 6. – P. 521–527. 13. Devarajan P. Update onmechanisms of ischemic acute kidney injury // J. Amer. Society of Nephrology. – 2006. – Vol. 17, № 6. – P. 1503–1520. 14. Doyle A. R., Dhir A. K., Moors A. H. et al. Treatment of perioperative low cardiac output syndrome // Ann. Thorac. Surg. – 1995. – Vol. 59. – P. 3–11. 15. Eriksson H. I., Jalonen J. R., Heikkinen L. O. et al. Levosimendan facilitates weaning from cardiopulmonary bypass in patients undergoing coronary artery bypass grafting with impaired left ventricular function // Ann. Thoracic Surgery. – 2009. – Vol. 87, № 2. – P. 448–454. 16. Ishani A., Nelson D., Clothier B. et al. The magnitude of acute serum creatinine increase after cardiac surgery and the risk of chronic kidney disease, progression of kidney disease, and death // Arch. Intern Med. – 2011. – Vol. 171, № 3. – P. 226–233. 17. Fowler A. A., Hamman R. F., Good J. T. et al. Adult respiratory distress syndrome: risk with common predispositions // Ann. Intern. Med. – 1983. – Vol. 98. – P. 593–597. 18. Gerritsen W. B. M., van Boven W. J. P., Driessen A. H. G. et al. Off-pump versus on-pump coronary artery bypass grafting: oxidative stress and renal function // Eur. J. Cardiothorac. Surg. – 2001. – Vol. 20. – P. 923–929. 19. Green T. R., Bennett I. S. R., Nelson V. M. Specificity and properties of propofol as an antioxidant free radical scavenger // Toxicology and Applied Pharmacology. – 1994. – Vol. 129, № 1. – P. 163–169. 20. Gu Y. J., Schoen P., Tigchelaar I., Loef B. G. et al. Increased neutrophil priming and sensitization before commencing сardiopulmonary bypass in cardiac surgical patients // Ann. Thorac. Surg. – 2002. – Vol. 74. – P. 1173–1179. 21. Kellum J. A., Lameire N. For the KDIGO AKI Guideline Work Group. Diagnosis, evaluation, and management of acute kidney injury: a KDIGO summary (Part 1) // Crit. Care. – 2013. – Vol. 17, № 1. – P. 204. 22. Kennedy E., Kevin C., Choy C. et al. Cognitive outcome after on- and off-pump coronary artery bypass grafting surgery: a systematic review and meta-analysis // Journal of Cardiothoracic and Vascular Anesthesia. – 2013. – Vol.27, № 2. – P.253-265. 23. Kerr S., Brosnan M. J., McIntyre M. et al. Superoxide anion production is increased in a model of genetic hypertension: role of the endothelium // Hypertension. – 1999. – Vol. 33. – P. 1353–1358. 24. Kokita N., Hara A., Abiko Y. et al. Propofol improves functional and metabolic recovery in ischemic reperfused isolated rat hearts // Anesthesia and Analgesia. – 1998. – Vol. 86, № 2. – P. 252–258. 25. Levin R. L., Degrange M. A., Porcile R. et al. The calcium sensitizer levosimendan gives superior results to dobutamine in postoperative low cardiac output syndrome // Rev. Esp. Cardiol. – 2008. – Vol. 61, № 5. – Р. 471–479. 26. Lopez Farre A., Casado S. Heart failure, redox alterations, and endothelial dysfunction // Нypertension. – 2001. – Vol. 38. – P. 1400–1405. 27. Matata B. M., Sosnowski A. W., Galinanes M. Off-pump bypass graft operation significantly reduces oxidative stress and inflammation // Ann. Thorac.Surg. – 2000. – Vol. 69. – P. 785–791. 28. Murphy P. G., Myers D. S., Davies M. J. et al. The antioxidant potential of propofol (2,6- diisopropylphenol) // Brit. J. Anaesthesia. – 1992. – Vol. 68, № 6. – P. 613–618. 29. Murphy М. P., Smith R. A. J. Targeting antioxidants to mitochondria by conjugation to lipophilic cations // Ann. Rev. Pharmacol. Toxicology. – 2007. – Vol. 47. – P. 629–656. 30. Murkin J. M., Boyd W. D., Ganapathy S. et al. Beating heart surgery: Why expectless central nervous system morbidity // Ann. Thorac. Surg. – 1999. – Vol. 68. – P. 1498-1501. 31. Niu Z.-Z., Wu S.-M., Sun W.-Y. et al. Perioperative levosimendan therapy is associated with a lower incidence of acute kidney injury after cardiac surgery: a meta-analysis // J. Cardiovasc. Pharmacology. – 2014. – Vol. 63, № 2. – P. 107–112. 32. Ohara Y., Peterson T. E., Harrison D. G. Hypercholesterolemia increases endothelial superoxide anion production // J. Clin. Invest. – 1993. – Vol. 91. – P. 2546–2551. 33. Orhan G., Yapici N., Yuksel M. et al. Effects of N-acetylcysteine on myocardial ischemia-reperfusion injury in bypass surgery // Heart and Vessels. – 2006. – Vol. 21, № 1. – P. 42–47. 34. Pearson T. A., Mensah G. A., Alexander R. W. et al. Markers оf inflammation and cardiovascular disease: application to clinical and public health practice: a statement for healthcare professionals from the centers for disease control and prevention and the American Heart Association // Circulation. – 2003. – Vol. 107, № 3. – P. 499–511. 35. Pieper G. M., Langenstroer P., Siebeneich W. Diabetic-induced endothelial dysfunction in rat aorta: role of hydroxyl radicals // Cardiovasc. Res. – 1997. – Vol. 34. – P. 145–156. 36. Plummer Z. E., Baos S., Rogers C. A. et al. The effects of propofol cardioplegia on blood and myocardial biomarkers of stress and injury in patientswith isolated coronary artery bypass grafting or aortic valve replacement using cardiopulmonary bypass: protocol for a single-center randomized controlled trial // JMIR Research Protocols. – 2014. – Vol. 3, № 3. – article e35. 37. Prabhu A., Sujatha D. I., Kanagarajan N. et al. Effect of N-acetylcysteine in attenuating ischemic reperfusion injury in patients undergoing coronary artery bypass grafting with cardiopulmonary bypass // Ann. Vascular Surgery. – 2009. – Vol. 23, № 5. – P. 645–651. 38. Rao V., Ivanov J., Weisel R. D. et al. Predictors of low cardiac output syndrome after coronary artery bypass // J. Thorac Cardiovasc. Surg. – 1996. – Vol. 112. – P. 38–51. 39. Romagnoli S., Ricci Z. Postoperative acute kidney injury // Minerva Anestesiologica. – 2014. – Vol. 81, № 6. – P. 684–696. 40. Rosner M. H., Okusa M. D. Acute kidney injury associated with cardiac surgery // Clin. J. Am. Soc. Nephrol. – 2006. – Vol. 1, № 1. – P. 19–32. 41. 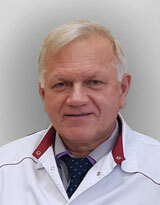 Skulachev V. P. A biochemical approach to the problem of aging: «megaproject» on membrane-penetrating ions. The first results and prospects // Biochemistry (Mosc). – 2007. – Vol. 72. – P. 1385–1396. 42. Smith R. A. J., Murphy M. P. Animal and human studies with the mitochondria-targeted antioxidant Mito Q // Ann. New York Academy of Sciences. – 2010. – Vol. 1201. – P. 96–103. 43. Suleiman M. S., Zacharowski K., Angelini G. D. Inflammatory response and cardioprotection during open-heart surgery: the importance of anaesthetics // Brit. J. Pharmacology. – 2008. – Vol. 53, № 1. – P. 21–33. 44. Tritapepe L., de Santis V., Vitale D. et al. Levosimendan pre-treatment improves outcomes in patients undergoing coronary artery bypass graft surgery // Br. J. Anaesth. – 2009. – Vol. 102. – P. 198–204. 45. Yokoyama T., Baumgartner F. J., Gheissari. A. et al. Off-pump versus on-pump coronary bypass in high-risk subgroups // Ann. Thorac. Surg. – 2000. – Vol. 70. – P. 1546–1550.